Seville Farms grows all plant material exclusively in Texas in optimal growing conditions, ensuring strong & healthy plants. Plants are pulled from the farm the day they are ordered & shipped directly to your home. 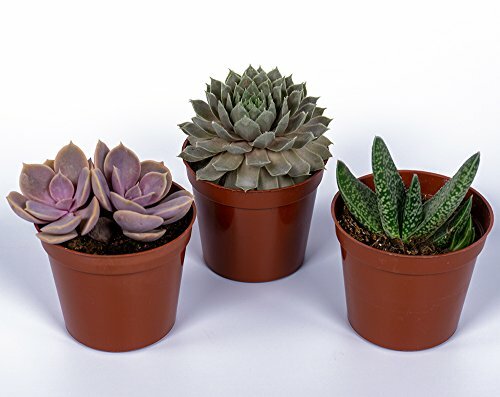 Succulents center center are low maintenance, drought tolerant plants that can thrive in many different growing conditions - perfect as a gift for the house or garden. Very cute- will look good in a larger garden, indoors as decor, or as an office pal!